Hello, I’m Michael Martin, a Licensed Clinical Social Worker with ABC Pediatrics. 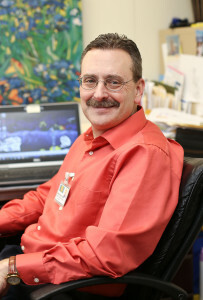 I have been a part of the ABC Pediatrics’ Mental Health Team for over 5 years. I enjoy providing the mental health component to our patients that may benefit from counseling, ADHD evaluations and enhanced behavioral health care needs as an integrated part of their medical health care. It is my goal to help patients and their parents through struggles commonly faced by school-age children. Did you notice the introduction? Have you ever heard these things being said? Have you ever said them to your own child? These comments, phrases and statements are often spoken by parents/guardians of children with Attention Deficit Hyperactivity Disorder (ADHD). Dealing with a child suffering from ADHD can be very frustrating and challenging. It is common for children diagnosed with ADHD to become aggravated and angry. They often act out because most children with ADHD really want to obey and listen to their parents and teachers but struggle doing so. It is often just as frustrating for them to have a teacher or parent lecturing them about everything they do wrong. It is important to properly respond to a child with ADHD to help him/her improve in all aspects of their lives. To encourage him /her, keep positive! • Praise them when they are following directions and making the right choices even though you think it is going to change any moment. Praise and rewards create motivation and energy for doing better. Focus on positive things. • Let a child know the things he/she CAN DO and not just what they CANNOT do. Very much similar to when you ask for directions to find a place, you appreciate getting clear and specific directions that you can easily understand and follow. Do this for children as well. Give them clear and specific choices of activities and keep them busy. This means you have to think and plan ahead. They will do better and appreciate it. • Ask questions to help them remember what they are supposed to do and have them repeat instructions or directions back to you. Keep it short. Avoid lectures. This helps their memory. • Remember ADHD is a medical condition, like diabetes or high blood pressure. Children with ADHD have trouble remembering things, concentrating, staying focused, controlling their impulses and keeping their energy under control. They want to behave and are not purposefully trying to do wrong, aggravate you or get on your nerves. Be patient and remember how they are feeling too. 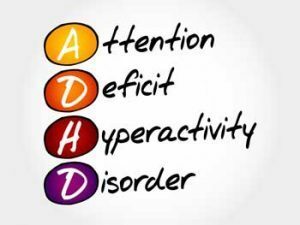 If you are concerned about your child or feel he/she may suffer from ADHD, please call our office and speak to my assistant Ericka (910) 892-1333 ext. 2277. She will be happy to get an appointment scheduled. Ask her about our Quotient Testing System: a non-invasive, computer run objective testing method for ADHD. It is as easy as playing a video game and takes only 15 – 20 minutes to complete. Results of the testing are IMMEDIATELY available for me to review with you and your child. ← Lights out equals Lights on for kids! A friend of mine has a son with ADHD so thanks for sharing this. I like your point about letting your child know what they can and cannot do during activities. I might suggest she try this so it’s clear to them what their choices are.